I came up with these flavours and ideas for a summer beach party. 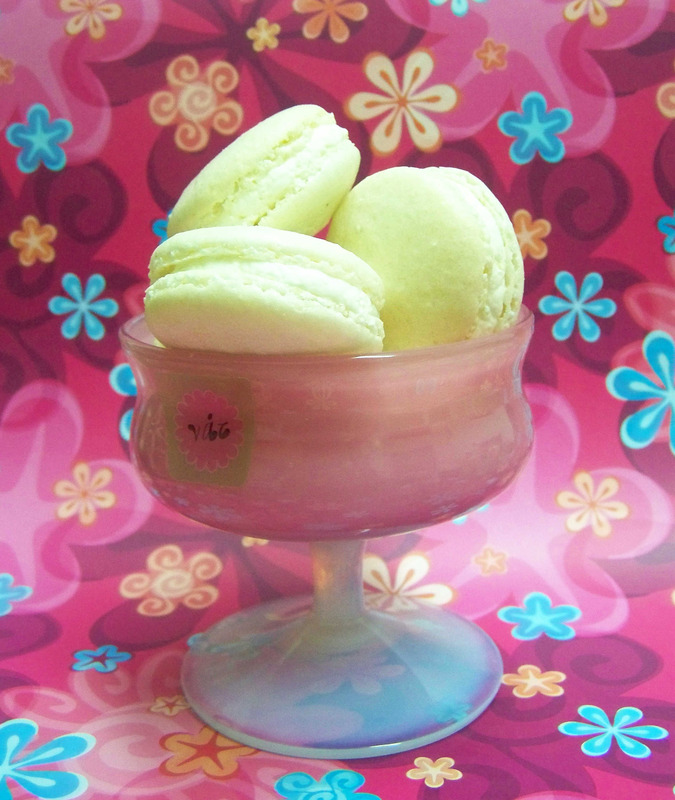 Macarons and verrines, my two big favourites! 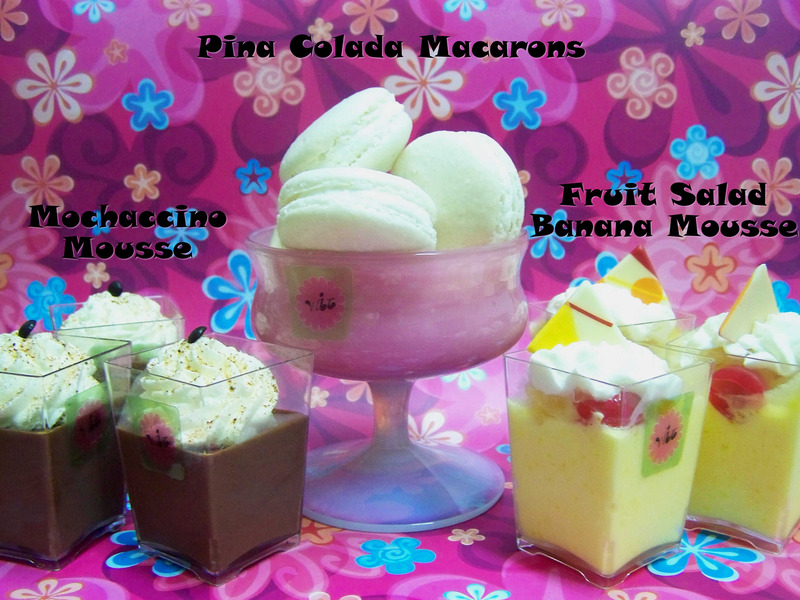 I couldn’t resist making pina colada macarons. I made a coconut shell and filled them with a Swiss meringue buttercream to which I added some pineapple puree and batida di coco. Ever since I made SMBC the first time, I never looked back and use it for all buttercreams that I make. It’s my favourite because it’s so versatile, takes flavours and colour very well, it’s so silky smooth and easy to pipe and work with and the flavour is so light and decadent. I also find it has the perfect texture for macaron fillings. I used to make the macaron fillings with a whipped white chocolate ganache but I found it too sweet. I find that the SMBC is a much better alternative. 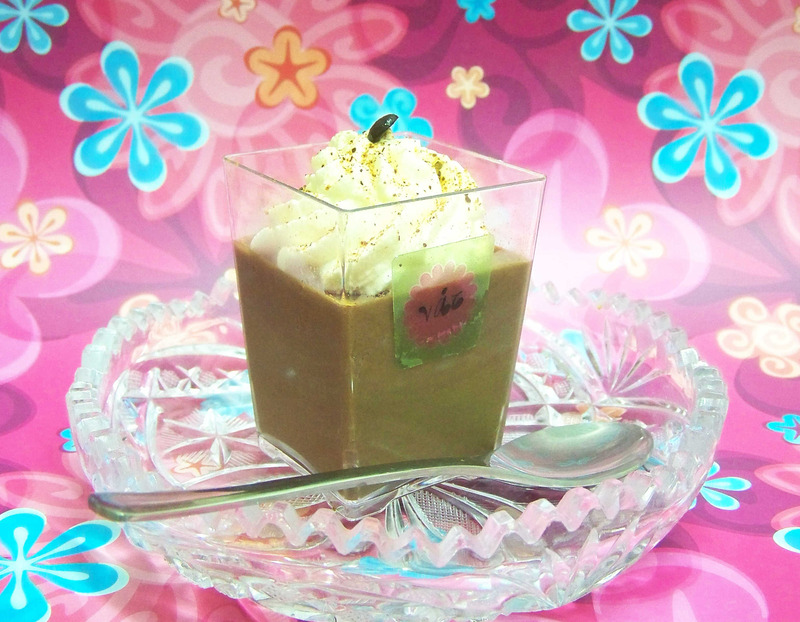 Mochaccino mousse verrines. A chocolate mousse with a hint of coffee covered with a swirl of whipped cream and a splash of cinnamon and a chocolate chip. 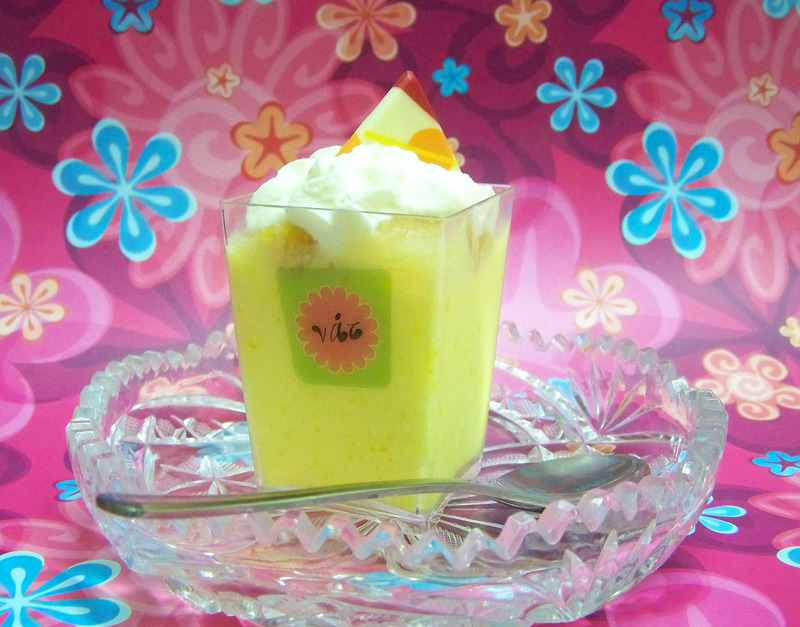 Fruit salad banana mousse verrines. A creamy light and smooth mousse with a hint of cream cheese and banana flavour, topped wtih some fruit salad and a swirl of whipped cream. I added some decorated white chocolate triangles for a final touch. I should probably say that I would have preferred more fruit salad in the verrine. Perhaps half mousse half fruit salad, but I didn’t have enough. I would also make the mousse a little less yellow next time, and I would have preferred decorating with a cherry on a stem but I didn’t find.